Last year, President Rodrigo Duterte signed Declaration No. 469, which proclaims April as the Filipino Food Month. It aims to make sure that our country’s culinary tradition and treasures are “appreciated, preserved, and promoted to ensure their transmission to future generations and to support the various industries, farmers, and agri-communities” benefitting from it. 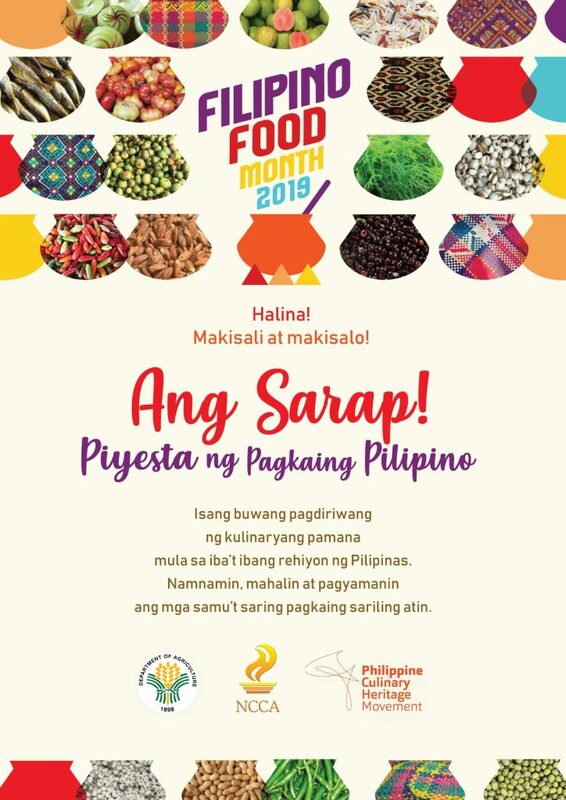 This is all thanks to the Philippine Culinary Heritage Movement (PCHM), a non-profit organization that champions the promotion and preservation of the Philippine cuisine. They lobbied for the petition for two years led by chef Jam Melchor. “This is our brainchild,” says Melchor to Nolisoli.ph. So for the first celebration of Filipino Food Month or Buwan ng Kalutong Pilipino, “we want to make sure that the government agencies do what the celebration is intended for and help them implement activities.” The National Commission of Culture and the Arts and the Department of Agriculture are tasked to lead the festivities.